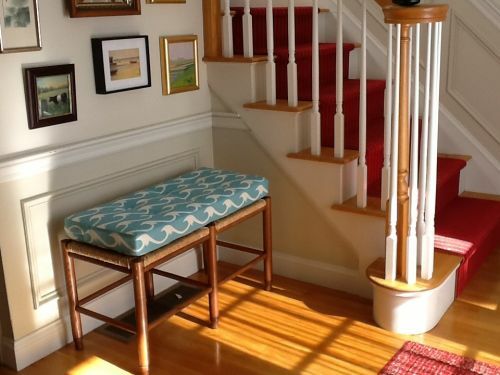 The bench in my entryway needed to be livened up. We live near the ocean so we loved the wave pattern. The fabric on the bench cushion is Cresting Baltic (alfresco-013).